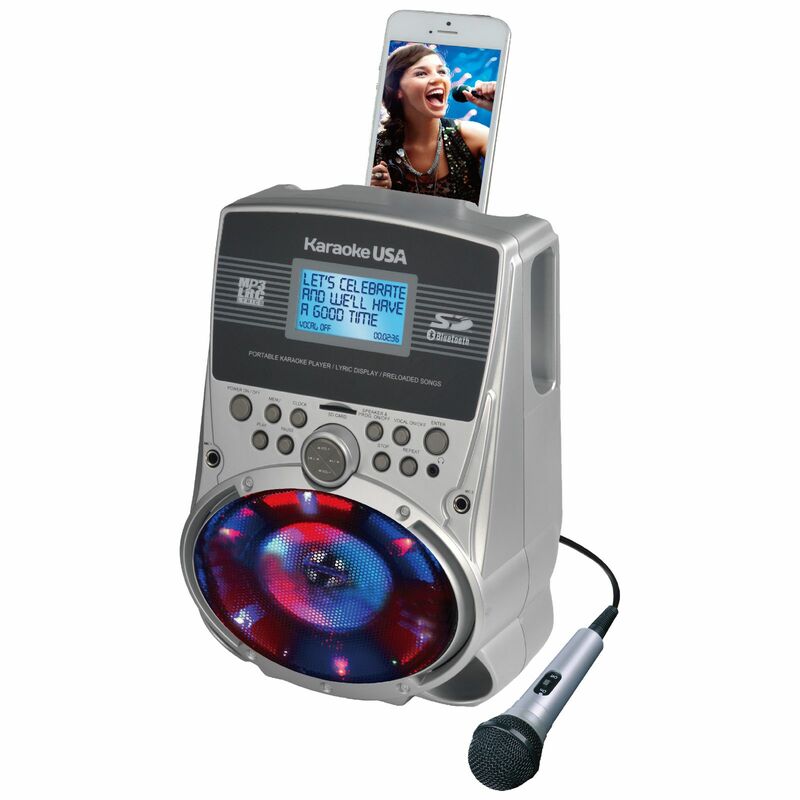 The SD517 karaoke player is an economical solution with a bit of flare and flexibility. The speaker area lights up with colorful LED lights that kids will love. There are 100 built-in family songs and an SD Card slot for adding your own songs. It comes with an AC power adaptor but it will also run on batteries for total portability. Includes one microphone but has another microphone jack for adding another microphone for singing duets. Create a library of songs on your SD Card and enjoy some great music!